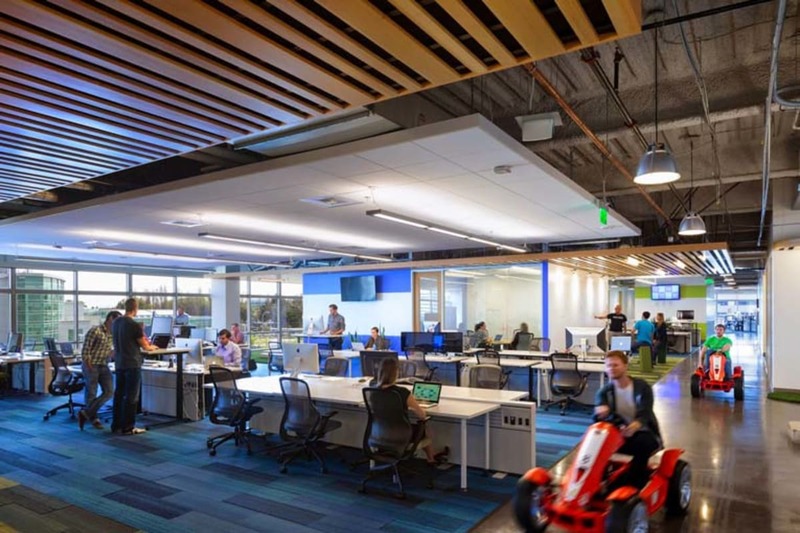 According to Fortune, GoDaddy is recognized for employee satisfaction, collaborative work environment, fun perks and other cultural qualities. Published: Apr 5, 2016. 11:39 +0100. GoDaddy has been ranked 95th in Fortune’s annual “100 Best Companies to Work For®” survey, published earlier this month. 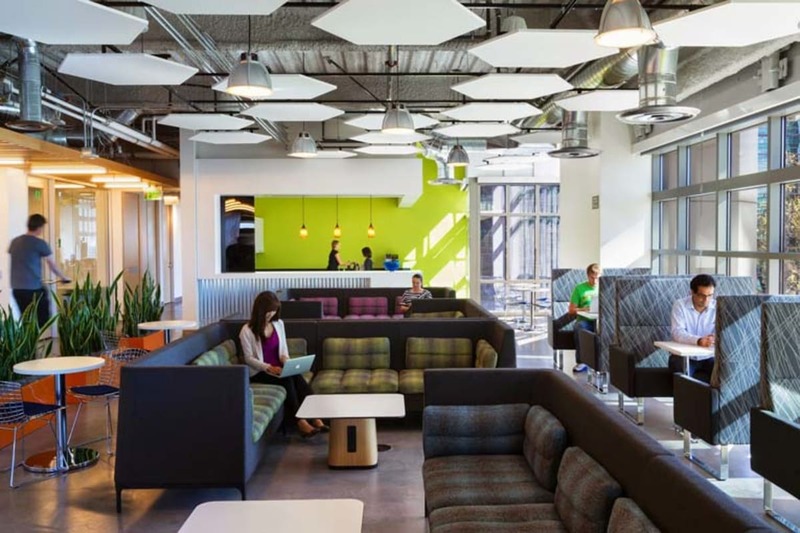 According to Fortune, GoDaddy is recognized for employee satisfaction, collaborative work environment, fun perks and other cultural qualities. GoDaddy made the prestigious Fortune list for the first time in 2012, and in the past year also ranked as a top workplace by Anita Borg Institute’s Top Companies for Women Technologists, Seattle Business Magazine’s Top Places to Work, Bay Area’s Top Workplaces, and Arizona Business Magazine’s Most Admired Companies. This year (2016) is only the second time it has made the top 100 of the Fortune List, but we suspect GoDaddy will continue in its efforts to be a great workplace, not only for prestige value but also to aid in attracting top employees to the company. Elite recognition like making the ‘FORTUNE Best Companies’ list shows just how valuable our commitments to trust and transparency are. Our employees, collectively, work together so we all have a voice at GoDaddy. We focus on not only ‘what’ we do, but, ‘how’ we get things done. We know when our workforce has ownership, we collectively shape our culture and create uncommon outcomes for both our employees and our customers. Trust Employee Survey — Two-thirds of a company’s score is based on a survey that is sent to a random sample of employees from each company. The survey covers a range of things, including attitudes about management’s credibility, overall job satisfaction, and camaraderie. Culture Audit — The final third of the score is based on responses to a Culture Audit, which includes detailed questions about pay and benefit programs, hiring practices, methods of internal communication, training, recognition programs, and diversity efforts. While the Fortune rankings have only recently been published, it would seem that the data from Great Place to Work dates back to September 2015. According to the Great Place to Work, the data was based on 1058 employee reviews, with a 95 percent confidence level. 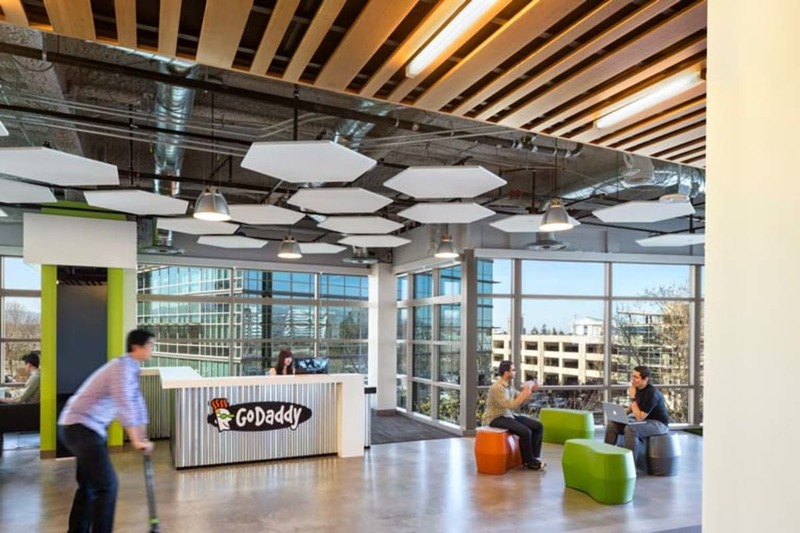 While all the results are excellent, it is fascinating that GoDaddy Employees are particularly pointing out the great atmosphere and how they take pride in working at the company. This is significant, bearing in mind that GoDaddy has 5,000 employees and is headquartered in Scottsdale, Arizona, with facilities located across 15 other locations, including Washington, Massachusetts, Iowa and California in the U.S., as well as Asia, Brazil, India, Canada, Mexico, U.K., Australia and The Netherlands, internationally. GoDaddy not only happy that they appeared on the top 100 list, but is also promoting the achievement ahead of a keynote address by CEO Blake Irving to be given at the 2016 Great Place to Work® Conference April 7 in San Diego, where Irving is due to focus on “Building Unity Within Diversity”. This follows on from a unique step by GoDaddy to publish salary data of employees based on gender, building on efforts to achieve salary parity in the Technology Industry. GoDaddy CEO, Blake Irving, is largely responsible for the turnaround in GoDaddy’s fortunes since joining the company three years ago. Building diverse teams who love collaborating and riffing on new ways to solve our customer’s problems is a top priority for GoDaddy. Our goal is to create a work environment where all talented people can achieve great things and grow. We know when our employees are happy, our customers are the ultimate winner. Like us, you probably want to know what makes GoDaddy so great to work for? Let’s get past all the statistics and have a look at some of the things that perhaps make GoDaddy different? GoDaddy Holiday Party — “Off the Hook” parties, including special guests, fireworks or whatever else takes their fancy that particular year. Iowa RAGBRAI & Senior Leadership Involvement — Involvement in Iowa’s RAGBRAI annual seven-day bicycle ride across the state, plus numerous other community events. Team Training — Exceptional Teams is an all-day program that helps accelerate group collaboration, trust and cohesion with the goal of becoming a high-performing team. New Employee Welcome and Welcome Dinner — GoDaddy host a weekly QuickStart to welcome their new employees and get up and running in time for lunch with their teams. GoDaddy also holds a monthly New Employee Welcome (NEW) session at their headquarters in Arizona, which includes a casual dinner in a GoDaddy executive’s home so that they can get to know senior executives and each other. GoDaddy Voice — GoDaddy Voice was branded by employees, for employees. This allows employees to give feedback on areas for improvement. Good work life, like anything, needs a great environment to feel comfortable in. This not only relates to visual aspects but also about the functionality and recreational space made available to employees. Fortunately, we were able to obtain many photographs that show this nicely. What do you think? Sunnyvale GoDaddy office. © GoDaddy.